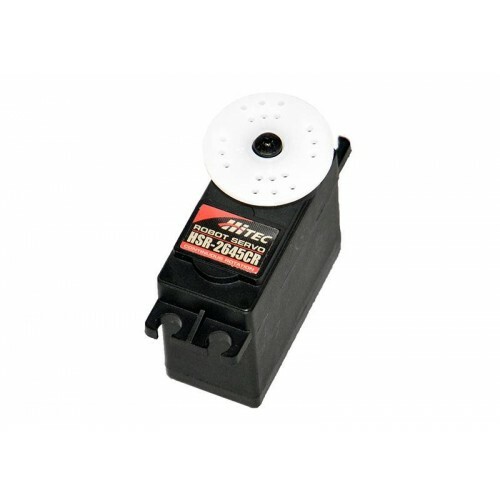 It is non-proportional, continuous rotation servo delivers the commanding force you require, with intense, powerful 12 kg-cm torque, wide voltage capability and an impressive metal gear train. Responsive high speed motion and quick directional shifts make this the go-to servo for your most complex and specialized applications. Its programmability and "all-in" solid build will have radio control, robotic and engineering enthusiasts cheering.